I’ve now spent quite a few weeks, on and off, trying to put together a comprehensive and well considered review of this album and I have to admit that what I’ve ended up with is neither, but that’s actually a good thing, as I’ll explain later. Firstly the necessary background details. 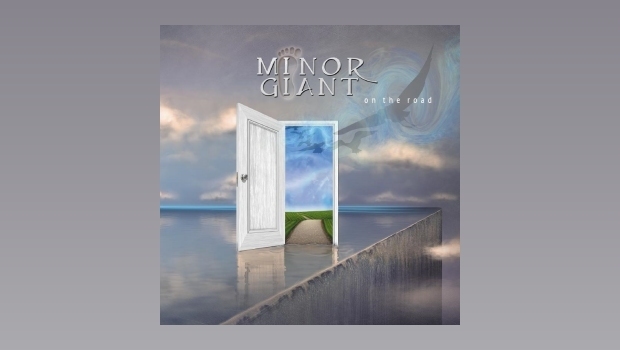 Minor Giant is the brainchild of Dutch keyboard player Rindert Lammers who composed all of the music and lyrics on this album, beginning in 2011 when he was only 17 years old. Having completed the material and produced solo demo recordings, he then went about recruiting musicians from the prog scene in the Netherlands to perform it, firstly live at a handful of festivals (their first ever live performance being as the opening act of the Progmotion Festival in 2012) and gigs in their home country, and then in the studio for this, their debut album. The six tracks they have produced, three lasting between four and six minutes and three mini epics of between ten and fifteen minutes are quite simply as fine an example of symphonic prog as I’ve ever heard! The two keyboard players with their lush Mellotron soundscapes, intricate synthesiser patterns and delicate classical style piano melodies definitely dominate proceedings but are underpinned by a terrific rhythm section and beautifully complemented by some outstanding fluid guitar work from Jordi Repkes, who also handles the lead vocal duties, where his mellow understated style suits the mood and feel of the music perfectly. So now to the detailed reviewing process. Headphones on, notepad and pen ready to receive my pearls of wisdom and play button pressed. Fifty-odd minutes later, headphones removed and placed on blank notepad, broad smile of contentment on face and realisation dawned that there is simply no point in analysing or dissecting the beautiful noise that this band makes, just immerse yourself in it! Repeat this process several times over the next couple of weeks before coming to the inevitable conclusion that, at the risk of rendering myself and my fellow scribes redundant, a new category requires to be added to the standard 1 to 5 stars rating system – Too Good To Review! At the risk of sounding rude and lazy, just buy this and review it yourself! Alternatively buy it and enjoy the album of 2014.